We thought we would carry on the fun with a quilt show in the same theme!! There will be a 'bed turning' like you have never seen before!! 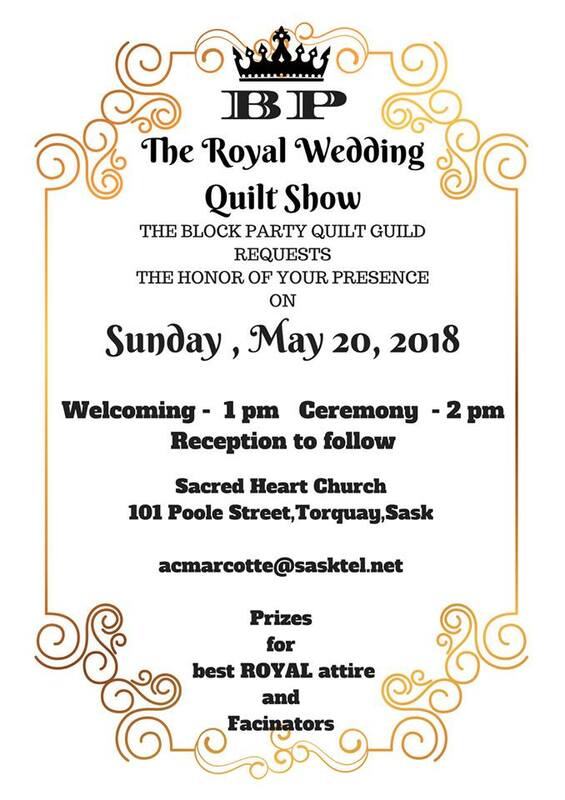 So come join us for an afternoon of fun! We promise not to make you cry this year!! Hope to you can make it!! It is sure not to disappoint!! Our guild hosted the Prairie Women on Skidoos last week. They toured the SE raising money for breast cancer. 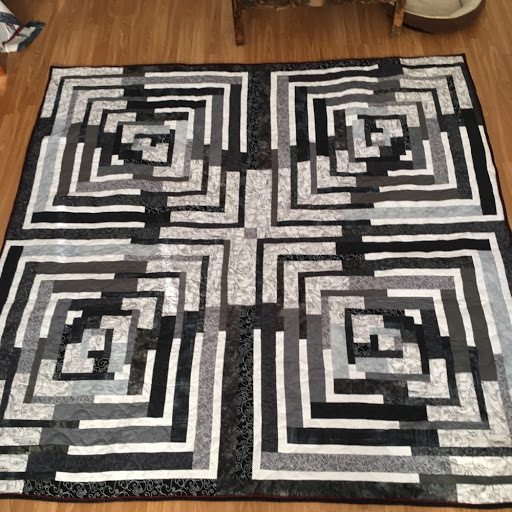 We donated this Antelope Canyon quilt to them. how much it went for yet. Narrie shocked us with her HUGE log cabin!! 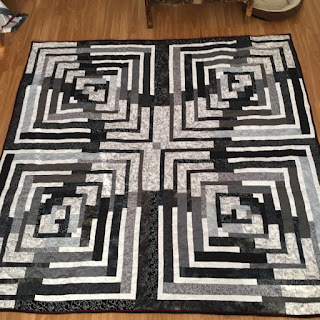 Terry finally had a chance to quilt up some of her own. Terry is unbelievably talented with her custom work all free hand!! a new quilt show is in the works. 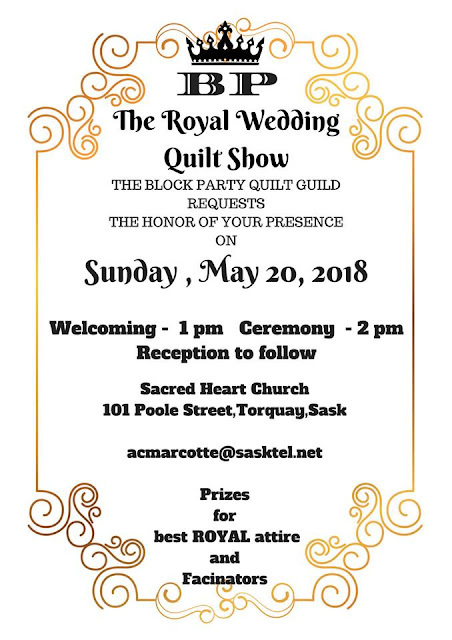 It will be on May 20th, 2018 so make your calendars! I will get this posted soon! !